Just a fortnight into launching the new version of its mass market motorcycle Passion Pro, HeroMotoCorp on Tuesday launched a new version of its premium motorcycle to Xtreme Sports to regain the lost share in the other end of the market.Launched at Rs 72,725-ex-Showroom New Delhi,the vehicle was first showcased at the Auto Expo 2014. While the overall silhouette is similar look closely and you’ll see quite a few differences to the Xtreme that was updated only last year. Infact, the headlamp is a mix of the Achiever as well as the Hunk to some extent and gets LED pilot lamps. The indicator stalks are the same ones from the new Karizma and at the rear, instead of the integrated ones from the first-gen Xtreme, these are mounted on the side. Interestingly, a lot of these components are not fresh designs but have simply been lifted off the second-gen CBZ Xtreme, the motorcycle that preceded the current Hero Xtreme. These parts include the tank, split seats, grab rails and the engine cowl. The tyres however are the same size as the current Xtreme. So to the style conscious buyer, the Xtreme Sports might actually look more dated than the current Xtreme even though its a newer machine! 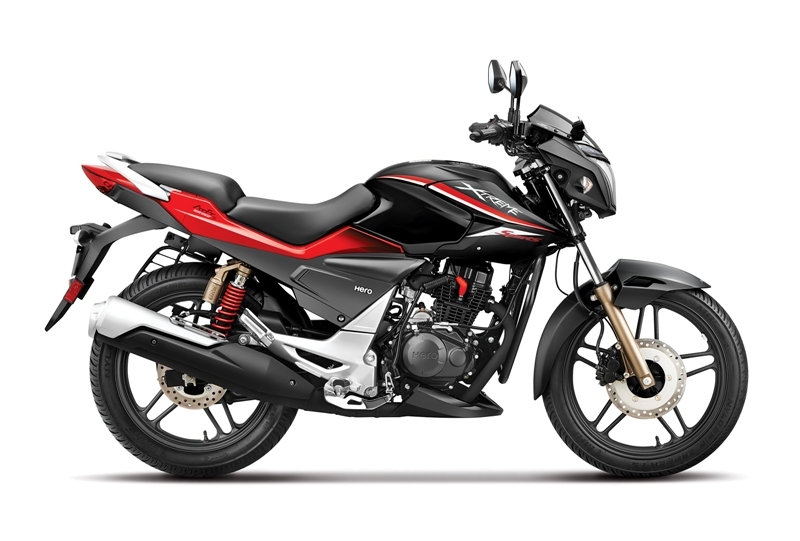 Improving the style quotient, the Xtreme Sports comes with a new headlamp with twin LED pilot lamps and winkers.The bike is available in five body colors-Panther Black, Fiery Red, Mercuric Silver and the new Black-Red and Pyro orange colors,said the company in a statement. 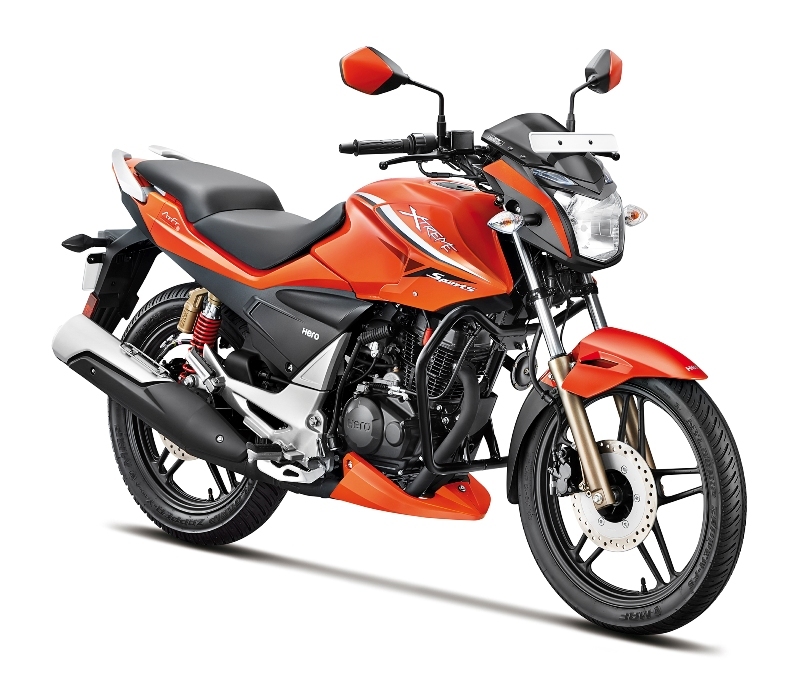 The vehicle gets tubeless tyres which enhances safety of the rider and pillion,the wider rear tyre improves performance and provides better road grip.The new Digi-Analog console with side stand indicator improves instrument cluster visibility. Along with riding pleasure the Xtreme Sports also comes with adequate safety and convenience elements.while Tubeless Tyres enhance safety of the rider and pillion,the wider rear tyre improves performance and provides better road grip.The new Digi-analog console with stand indicator improves instrument cluster visibility. The 240 mm front and 220 mm rear disc brakes ensure there is enough stopping power for emergency braking.